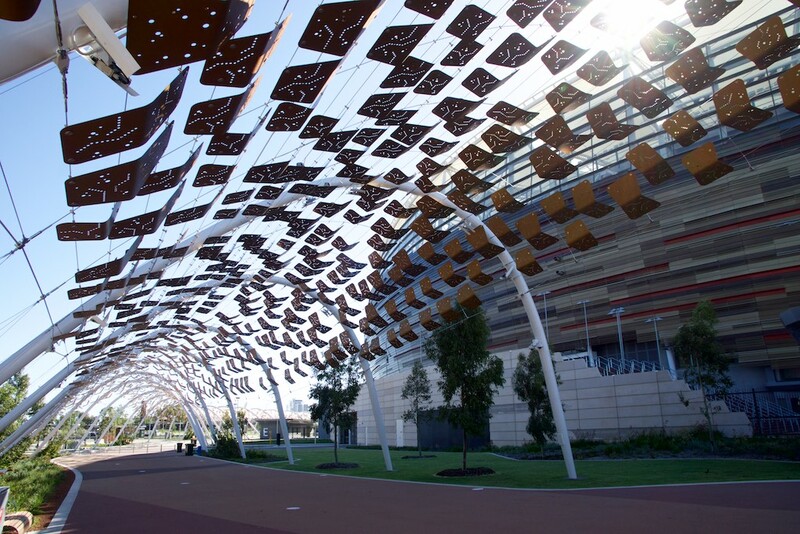 Perth Stadium finally opens to the public for the first time today. It's a 60,000 seat sporting arena located on a peninsula with very restricted access for motor vehicles. 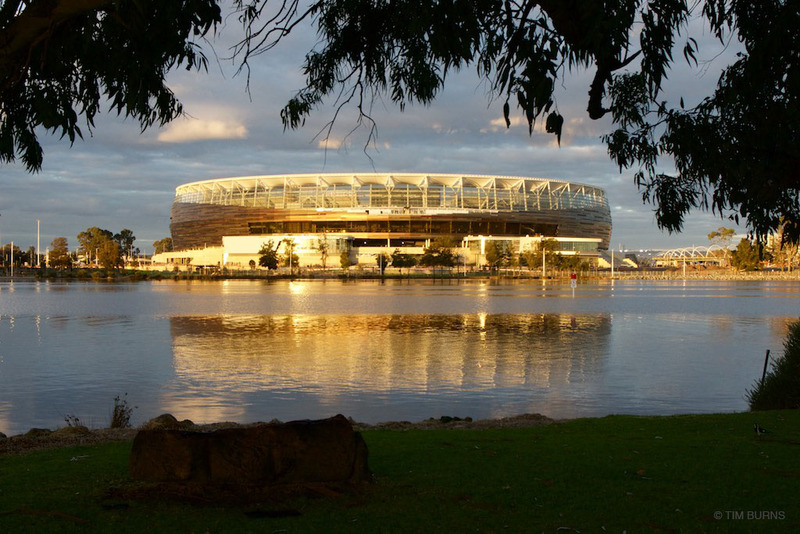 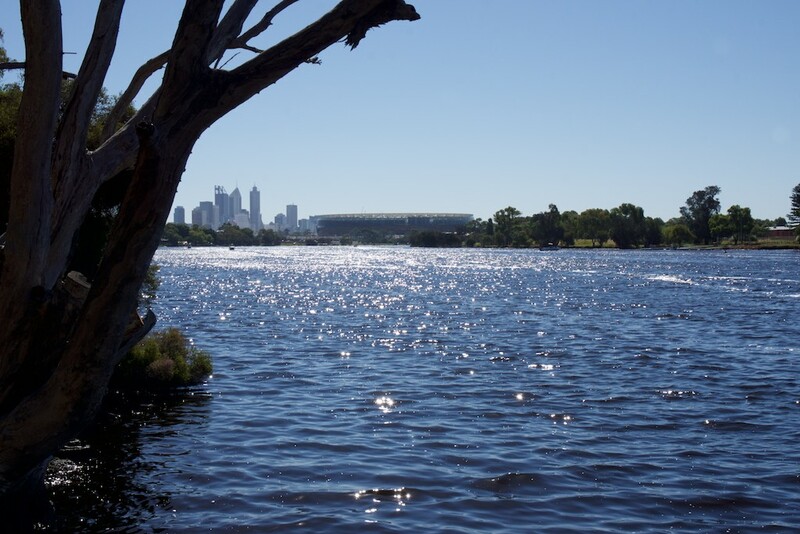 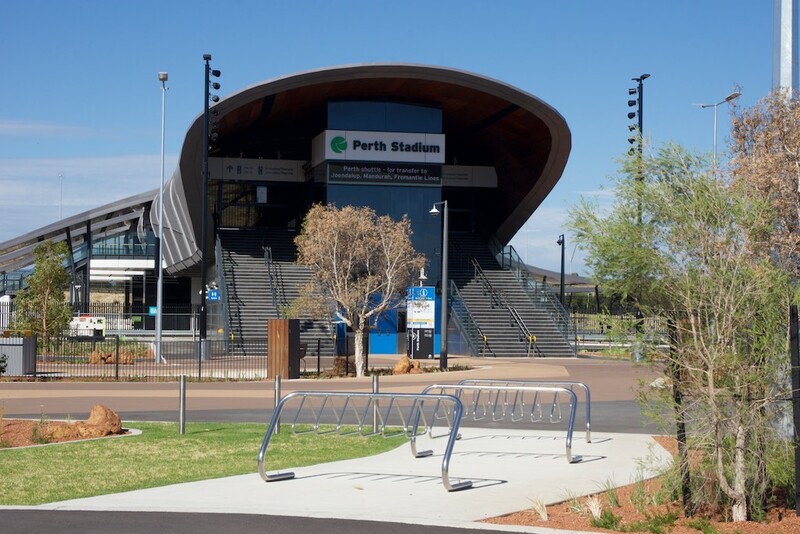 Travelling to the stadium will require a change of thinking for many Western Australians who don't consider travelling in anything but a car or a plane. The state government has designed a transport plan that focuses on trains and buses. Here is a recent advertisement promoting both modes. Some Western Australians have an aversion to public transport. I know people who have lived within walking distance of Murdoch station for ten years and have never caught a train. One way to avoid the crowded public transport is to ride a bike. 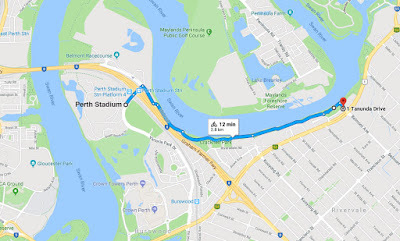 If you live close enough there are safe and easy routes to the stadium. For people living further away, using a combination of bike and car is a logical solution. 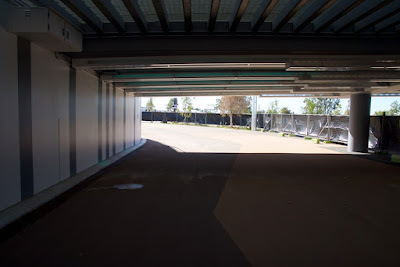 Put the bikes on the back of the car and drive to a spot within riding range. 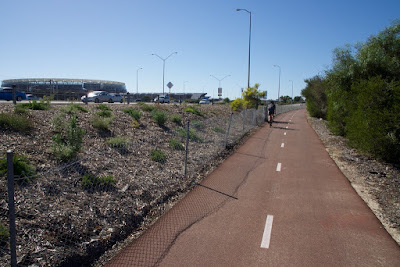 The bike-car solution may not be as praiseworthy as bike-only, or bike-train, but for those living in areas not well-serviced by public transport it's a realistic option. My bike-car suggestion for this week is Rivervale. 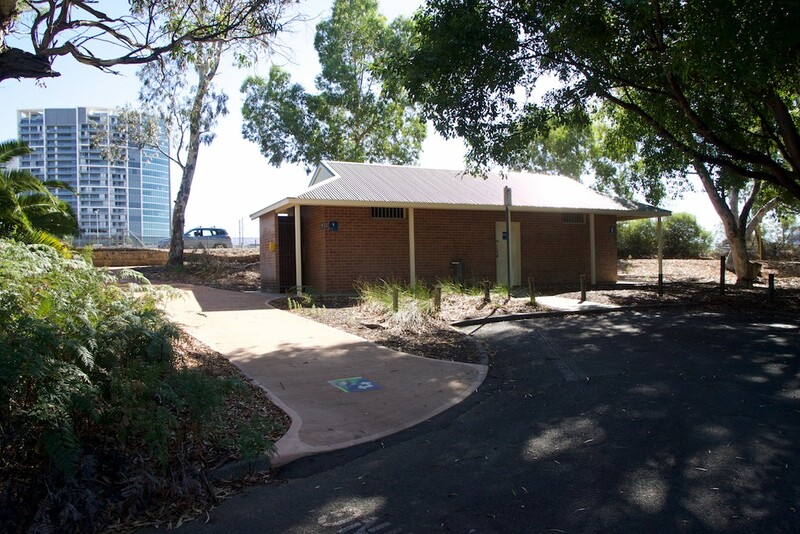 Park in Tanunda Drive at the rear of this building. 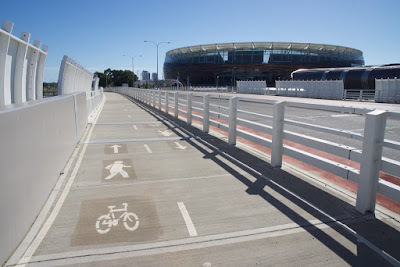 From this point it is an easy three-kilometre ride to the stadium along a shared path. 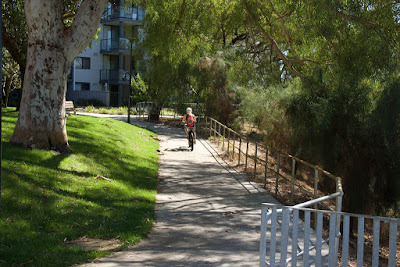 There are some hills but it is suitable for people aged 5 to 80. You might get a car park on the street but there are also about 150 off-street bays that are not used on weekends. 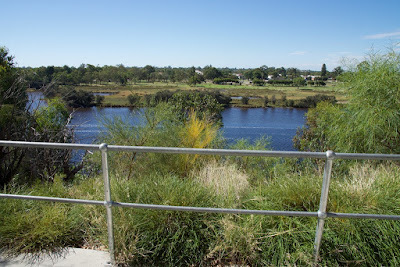 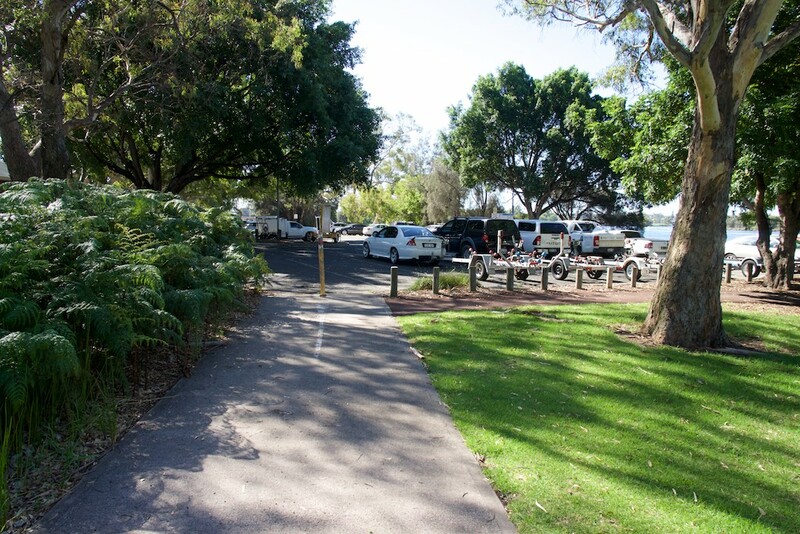 Directly behind the car park is a shared path that travels along the river. 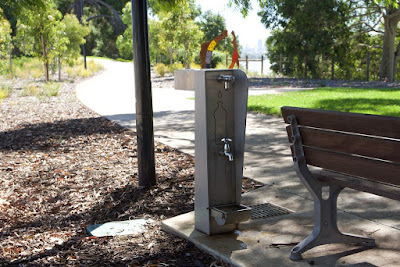 There's even a convenient water fountain to fill your bottles. 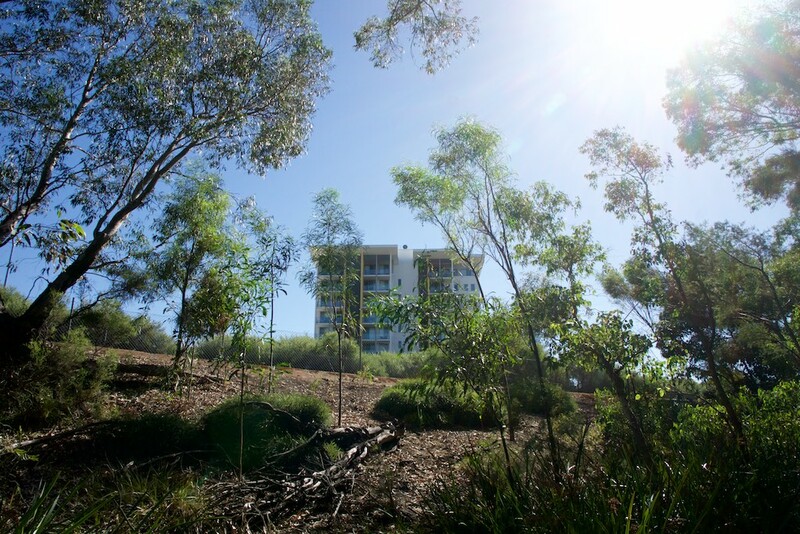 Travel down the hill and stay on the river side of the apartments. 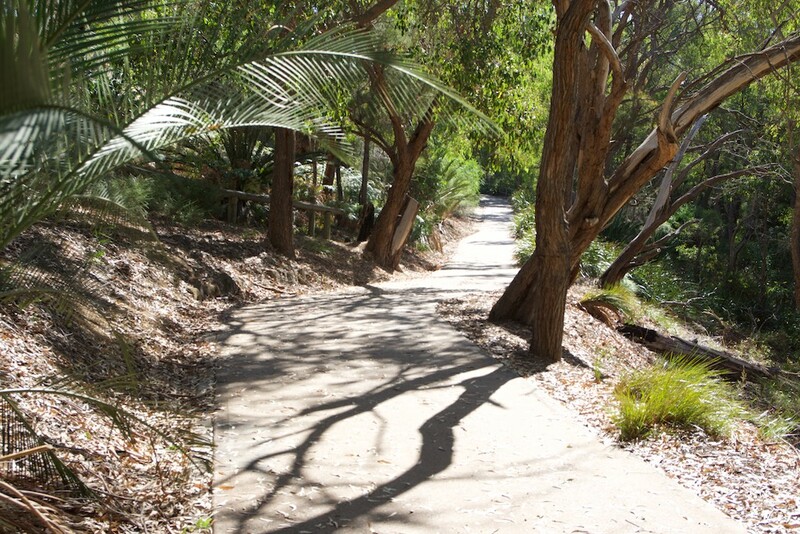 This path will take you along a very pleasant and shady route to the stadium. There are opportunities to stop along the way. There are small jetties, parks, picnic tables and a grassy beach. 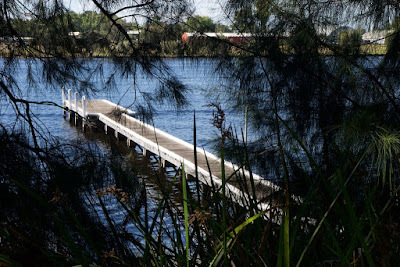 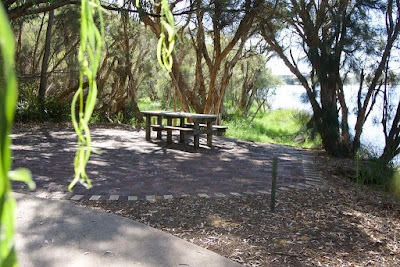 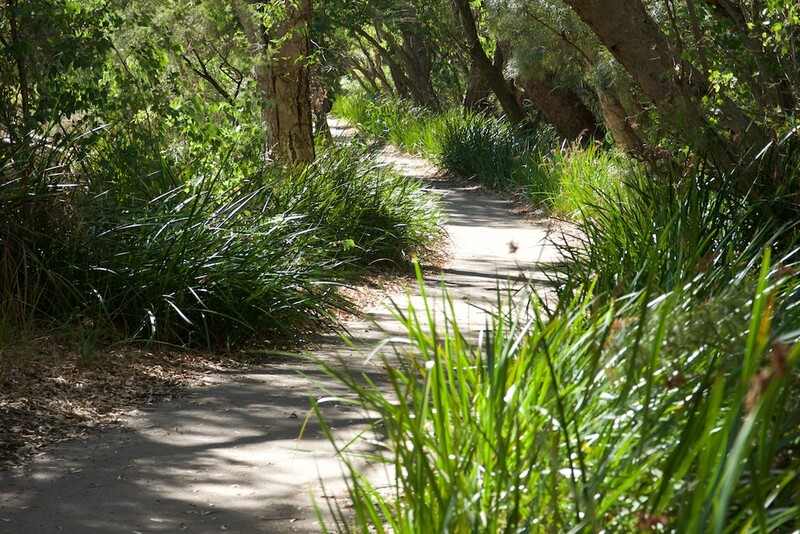 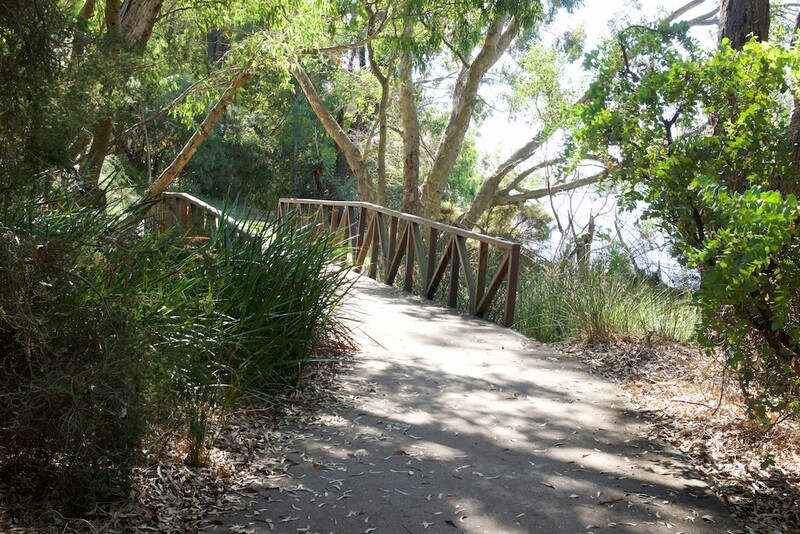 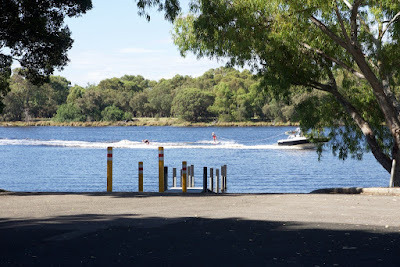 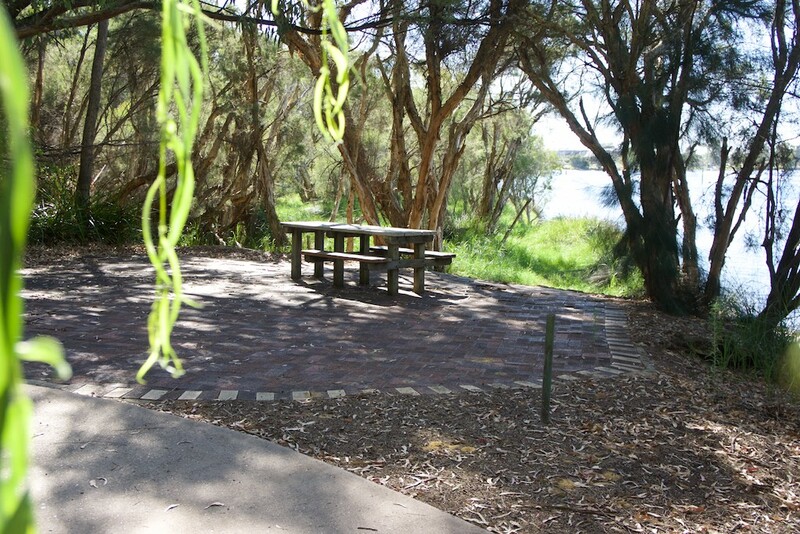 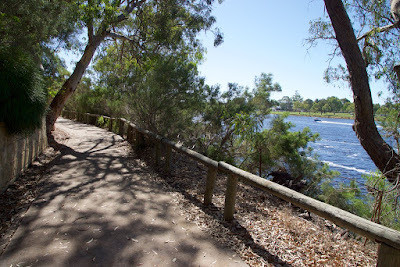 The path opens onto a car park next to a popular water ski area. 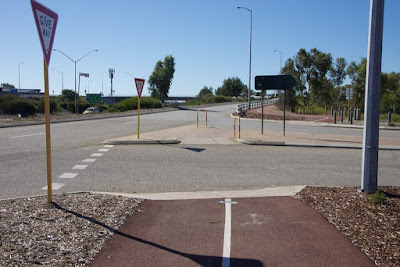 There is no need to ride through the car park. 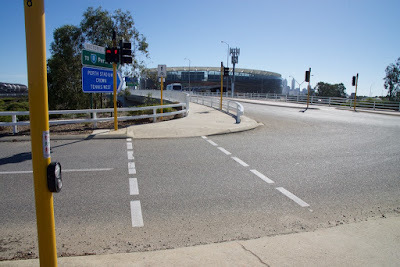 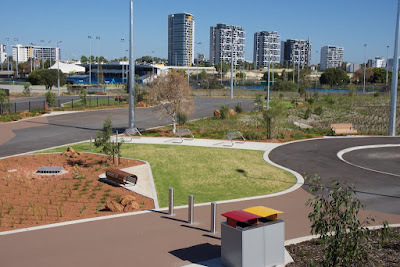 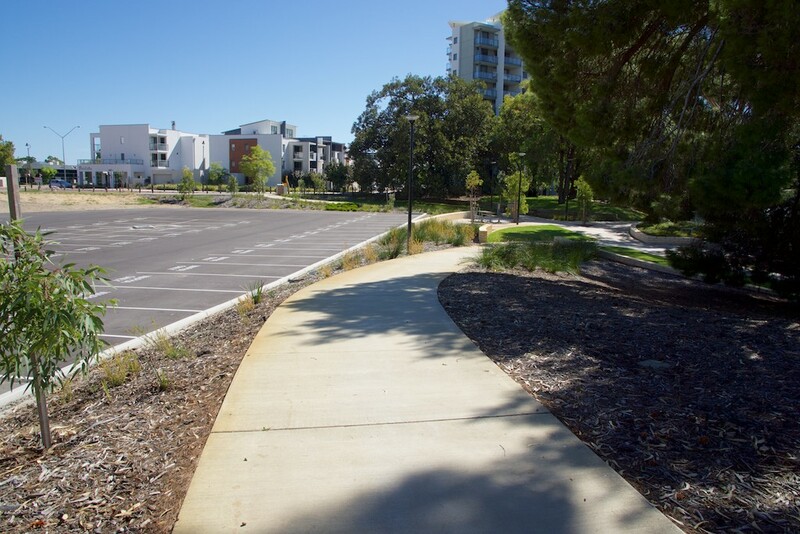 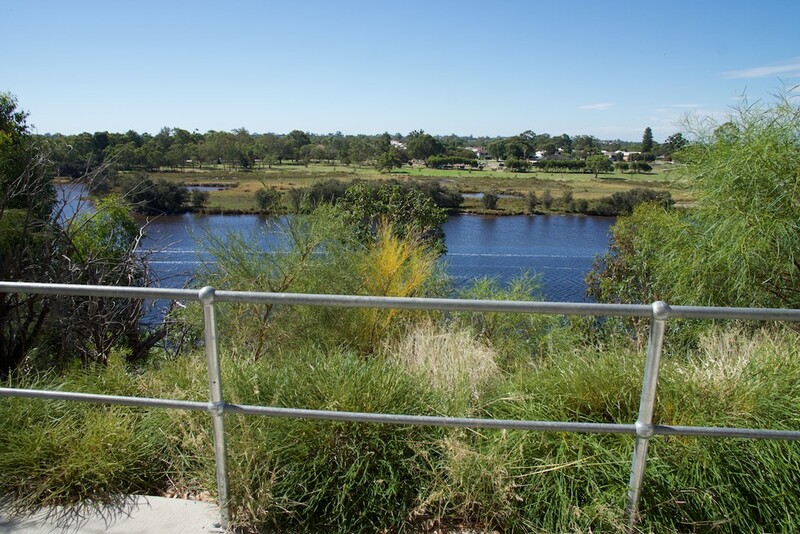 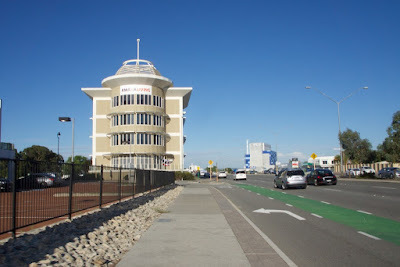 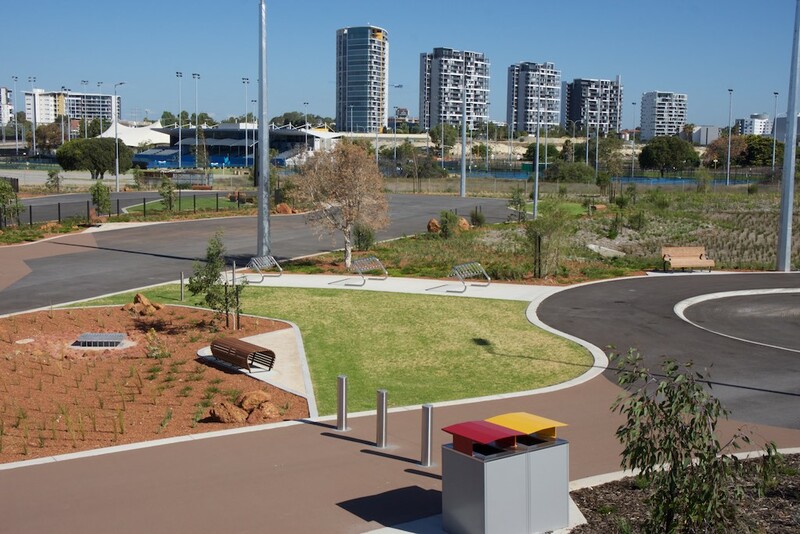 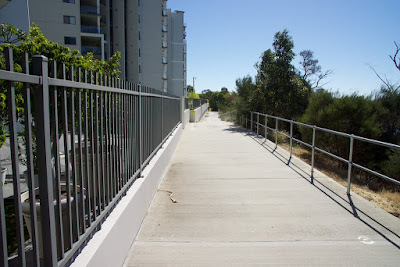 Turn left immediately and use the short section of path next to the toilet block to connect to the main Principal Shared Path beside Graham Farmer Freeway. There are three streets to cross. 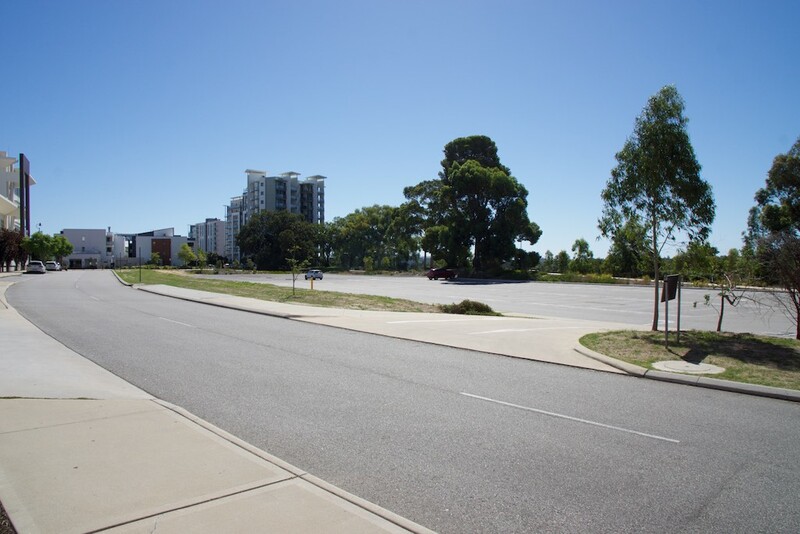 The first is the entry to the ski area, with a low volume of traffic. 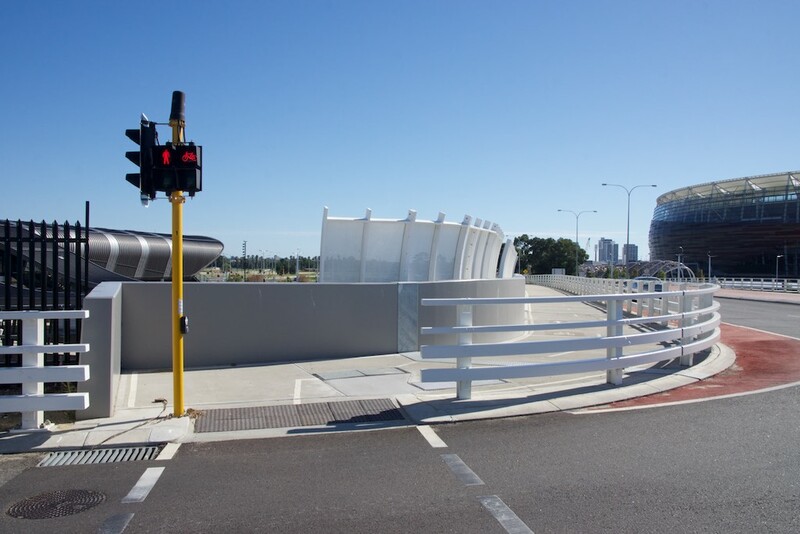 The next two are controlled with traffic lights and are easy for all ages and abilities. 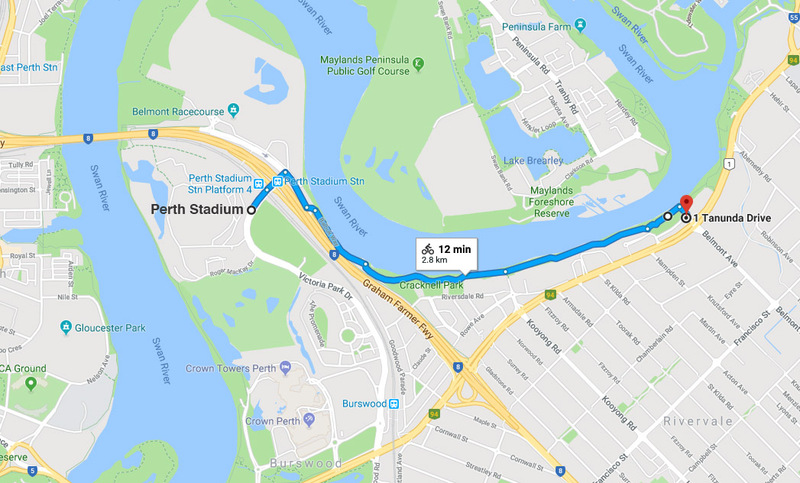 When closer to the stadium. 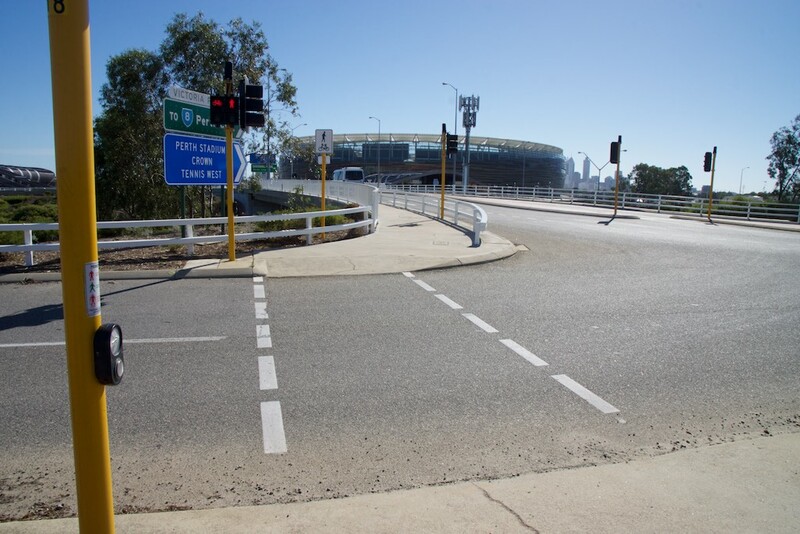 Turn to the left to get to ground level. 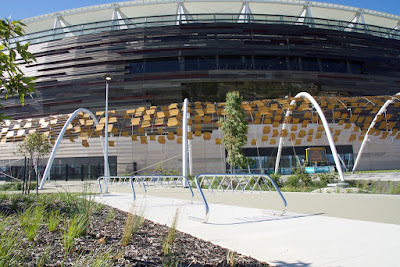 There are bike parking racks in front of the train station. You can park there if it is crowded and prefer to walk the final section. Otherwise, if you continue riding, there are racks for 600 bikes in areas closer to the stadium and in the surrounding park. Travel through the tunnel and you have arrived.